That was hardly an exalted motive, I admit, but it was honest—early afternoon is my usual nap time. “And may I remain clothed?” I pleaded. Yes, was the answer to both questions. I was at an extraordinary training session. I mean, how many people do you know who’ve been trained in how to support a family in creating a sacred space to wash and prepare a body for repose—for viewing and then cremation? Plus, accomplish that with great respect and compassion for both the person who has died and the grieving family? And do it all in the deceased person’s home? 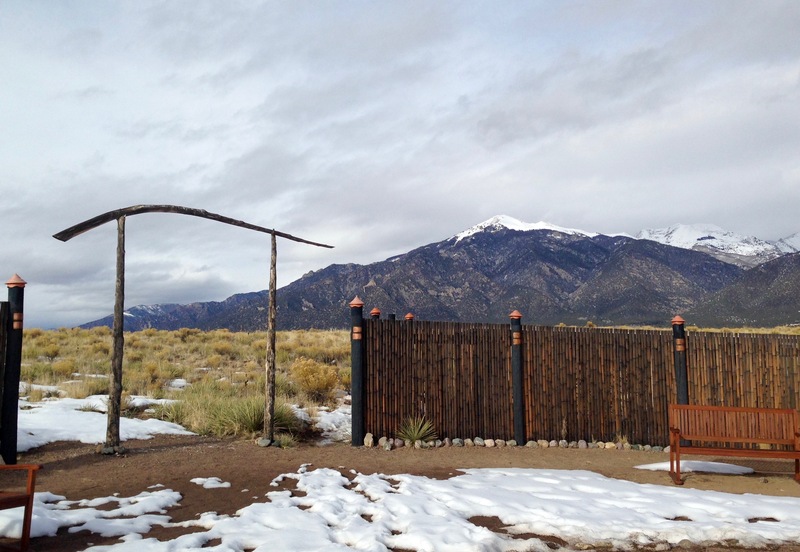 Once again, I’m housesitting in Crestone. The previous time I was here I was enamored of Crestone’s history, its many spiritual centers, and its physical beauty. 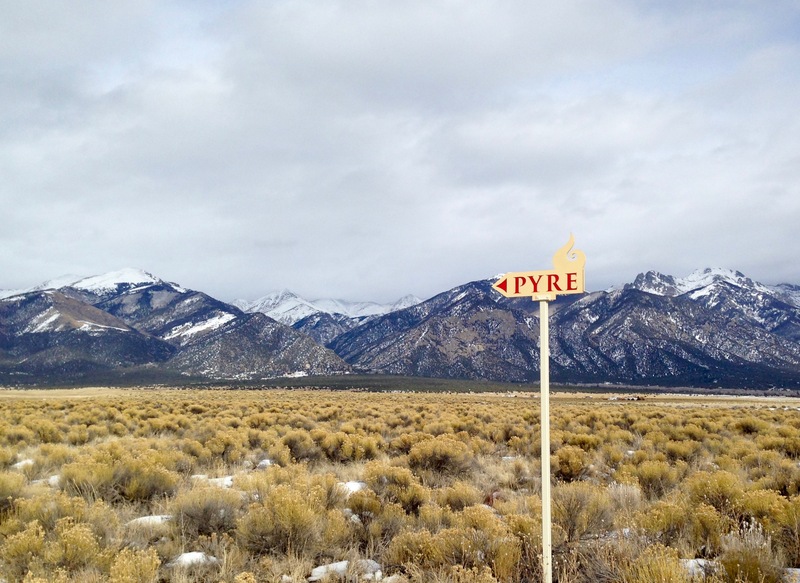 (See my post “Crestone, CO: A Town Unlike Any Other, Anywhere”). This time, I’m more interested in how the community functions. And without doubt, CEOLP is a Crestone community centerpiece, an evolved and well-led non-profit, and a unique service organization. 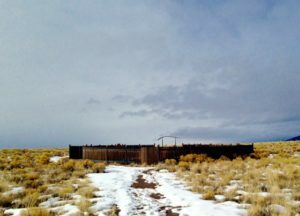 Now the organization has more than 150 community members “registered”—which means they have chosen to be cremated in the community site, if possible, when they die. Over the years, about 50 cremations have been done. 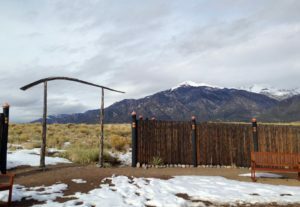 CEOLP serves primarily Crestone and the adjoining Baca Grants, but anyone in Saguache County may register. Legally, only registered individuals may be provided this cremation service. CEOLP maintains close relationships with local government offices and officials, as well as the local coroner and funeral homes. They stay well within the framework of the law, and they offer no legal advice. They sponsor a range of workshops on end-of-life topics for their community. 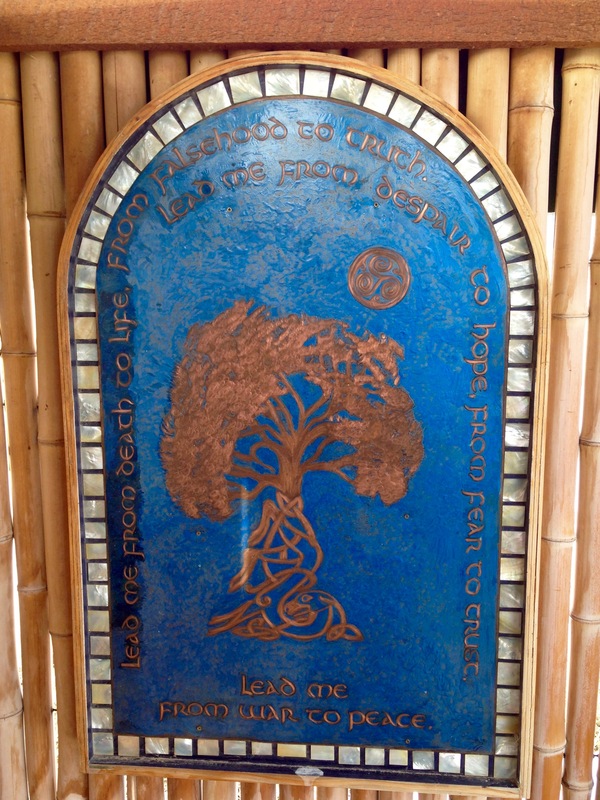 In addition, CEOLP has magnificent website, informedfinalchoices.org, a cache of relevant information and resources, including photos and poetry. The manual, reserved for volunteers, is one of the most serviceable documents I’ve ever seen—complied in large part by CEOLP co-founder, Stephanie Gaines. Within the CEOLP community of volunteers, they’ve established teams and roles so that a cremation event can flow as seamlessly and respectfully as possible. There’s a volunteer Facilitator who receives the call about the death of a registered person (again, CEOLP only serves registered community members). The Facilitator coordinates the entire process, oversees the specialized teams, and ensures legalities and documentation (e.g., the death certificate) are handled. There’s a Family Liaison who informs and shepherds family members of the deceased (who may come from great distances). 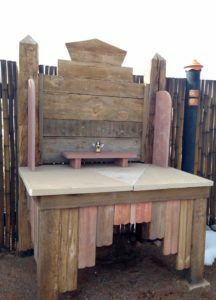 There are Site Hosts; a Fire Master and Fire Tenders who prepare and oversee the pyre; a Site Management Team who oversees the altar, a few chairs, shovels snow if needed; and a Parking Team. There are those who create the death announcements and newspaper notifications. 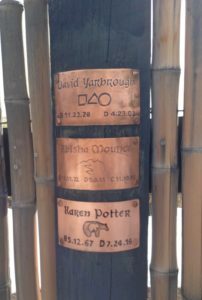 A Master of Ceremonies coordinates the procession and any personalized ceremony as requested by the family and aligned with known wishes of deceased. Community musician are available to provide music—flute, guitar, didgeridoo, drum, or vocal. One group who collect juniper boughs for ceremonially purposes if desired; there’s a team to collect the ashes, the cremains, as the family directs; and a final team returns the Site to pristine condition, in readiness for the next time it is needed. The team training I took, at one of CEOLP’s intermittent training days, was the one that made me most squeamish: Care of the Body. Quickly my fears were allayed, for the training was facilitated by a magnificently skilled and sensitive woman, a healer, who asked to not be named. We learned that there is no law in any US state requiring a body to be embalmed, nor are there laws requiring a casket. Thus, family and friends can prepare a body for disposition. About 10 of us watched and learned how to do that. And I, as corpse, listened carefully from my supine, eyes-closed position, feeling my body tenderly managed. First, the trainer introduced us of the basket of supplies needed for preparing the body—a basket that’s pre-packed and stored in a CEOLP volunteer’s garage, always ready for use. The basket holds essential oils (like frankincense, lavender, sandalwood); pure soap; plastic sheeting; diapers; disposable gloves; candles; scissors; garbage bags, and more. The person preparing the body also has access to a fan; multiple ice packs of various sizes to cool the body for up to 72 hours; a few other items. The family is asked to provide wash clothes and towels, fresh linens in which to wrap the body (which will be burned), a shroud to cover the body, and clothing. What the trainer did, after I lay down as volunteer corpse, stunned me. She knelt beside the bed, put her warm hand fully over my right shoulder, and said something to the effect of—Esther, I want you to know you are loved. I want you to know I’m going to be washing your body with great respect for it and for you. Your beloved family members may assist me if they wish. You may rest peacefully. The spirit of the deceased, she explained, often hovers around the body for some time. It is important for it to feel comforted, respected, and safe. She taught us how to speak with and comfort family members, how to discern the spiritual traditions of the deceased, prepare the room for lying in state—clearing clutter and medications, providing air flow. She spoke of centering ourselves to create an atmosphere of calm and to be open to intuitive guidance. We learned the crucial importance of ensuring that any electronic implants had been removed by an authorized person. She led us through the washing, anointing, and dressing the body, so that we could support a family in those steps: placing plastic and fabric sheeting, draping the body to maintain dignity while washing, massaging the skin, combing the hair and applying make-up if desired. I, as corpse, felt incredibly relaxed though I was surrounded by people watching. The trainer explained CEOLP’s simple system of cooling the body with specifically placed ice packs which, in the CEOLP context, the Care of the Body team member assists the family to refresh twice a day during the lying-in. She told how to wrap the body for the pall-bearer’s stretcher, so the family could transport it, with appropriate legal permission, to the Site of Disposition, the cremation pyre. Finally, she demonstrated removing all supplies and returning the room to normal use. When I finished my service as corpse-for-a-day, I found myself reflecting on how restful it might be to die; how ordinary, like sleep; and how honoring it felt to have my body treated with respect and quiet caring. Indeed, CEOLP makes death “a sacred celebration.” If I lived permanently in Crestone, I’d register in a heartbeat! I can hardly imagine a more beautiful place to end one’s days. The grounds were donated by a spiritual group, the Dragon Mountain Temple. The site itself was designed and built by Paul Kloppenburg and McGregor Gaines, assisted by a cadre of Crestone volunteers. On an overcast February 2017 day, I drove with a friend to the cremation site off County Road T. An austere sign pointed us in the correct direction. The snow-covered San Luis Valley with the Sangre de Cristo range bordering it—how extraordinary! 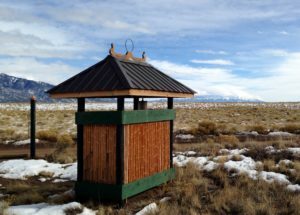 An information kiosk sits on dirt road that leads to the site. This shot was taken from behind it. I especially liked the decoration at the top, which probably has a sacred significance unknown to me at this time. 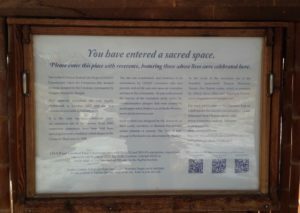 Inside the kiosk is this sign: “You have entered a sacred space. 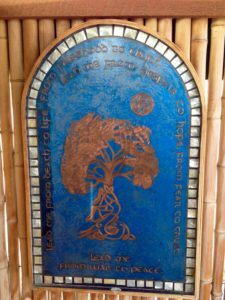 Please enter this place with reverence, honoring those whose lives were celebrated here.” It also provides information of historic and artistic interest. This is the elegant processional entrance that conveys serenity and peace. A simple altar is used by family and friends for pictures and special items connected with the deceased. 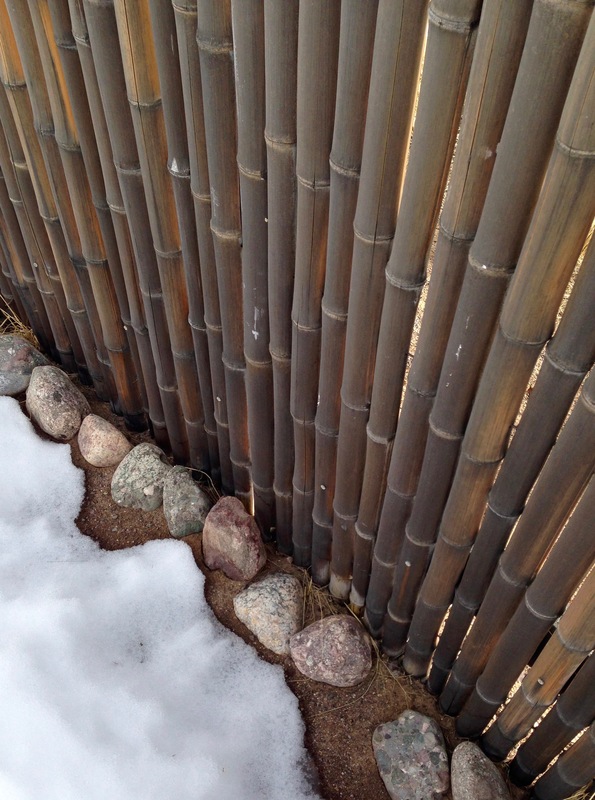 A simple bamboo wall encloses the site. It is sturdy and weathered. 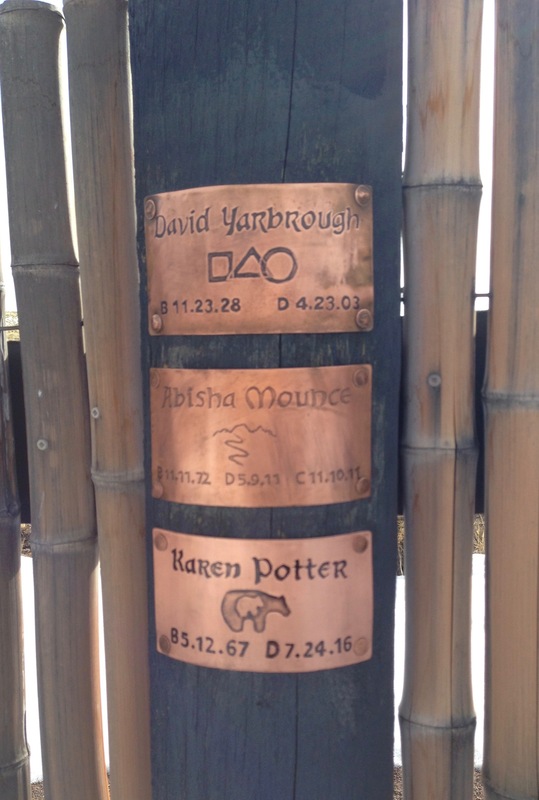 Crestone copper artist Shahna Lax also makes a small plaque with name, date, and family-selected symbol for each person cremated here. 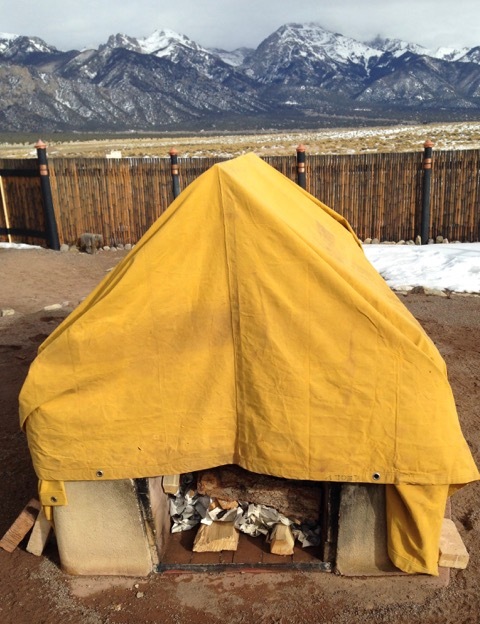 This is the actual pyre, ready for use, under wraps to protect it from snow and rain. 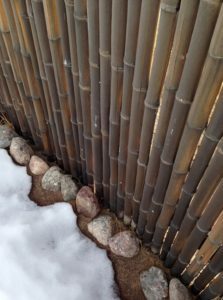 It sits at the center of the circular bamboo enclosure. Finally, from a distance the entire cremation site could easily be lost on the horizon, so dwarfed it is by the vast prairie-desert and the grandeur of 14,000 foot peaks. But what a gorgeous place to say goodbye to a loved one. The Crestone, CO, open-air site in mid-winter.